Grew up in: San Diego, CA and Carlsbad, CA. Have also lived in: Guam; Spokane, WA (both as a baby); Long Island, NY (82-86); El Paso, TX (86-87); Normal, IL (87-89); Riverside, CA (89-97); Lubbock, TX (97-01); Tuscaloosa, AL (01-10); Columbus, GA (11-13), and Honolulu, HI (13-16). We have moved a lot due to my husband's job. Of the past places we've lived, Honolulu was my favorite, San Diego second favorite. My best job was at Ask Jeeves (also known as Ask.com). I was hired by founder and friend David Warthen to help develop the database and web site. Later, I was the "Voice of Jeeves" as their only customer service person, answering questions via email. I worked there until the end of 2000 when the company had financial problems and laid off 1/4 of their workers. I started my own company while I was at Ask Jeeves, The TV MegaSite, Inc. I enjoy working at home. It has lots of perks like getting free DVD's and letting me interview TV actors, writers, directors and producers! When we lived in Hawaii, I had a second job as a professional singer a local rock band. It was a lot of fun. It was called the All Natural Band, and we did oldies from mostly the 50's and 60's. Then some of the members had a falling out and the band sort of fell apart. I started taking guitar lessons in September 2015 until we left Hawaii June 2106 That was great and I got to sing and play two songs at the Hard Rock in Waikiki with my teacher and his band (other students performed, too). I plan to keep up with the guitar and singing. Hopefully one day I'll try again with a band. You can see some of my songs by myself, with the band, and in concert in my YouTube channel. Also, check out my Music History. Personal history: The first 25 years of my life were not great, but the last 30 have been wonderful! My family was very poor when I was growing up. My dad was an alcoholic that was seldom around. My mom died when I was 10. I was in a foster home during my teen years, and then I was on food stamps for a while after I moved out on my own. 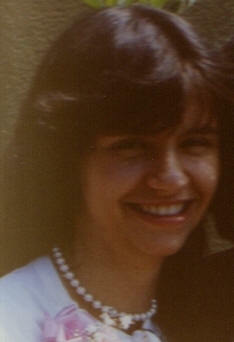 I married my high school sweetheart, David, in 1982. We moved to New York for college then. Notable: My family helped start the San Diego Comic-Con in 1970, which is now a huge media event. My three brothers were on the original committees and my mom helped type up the first program. Hobbies: Singing, webpage-making, karaoke, guitar playing, collecting, reading, watching TV and movies, traveling, drawing and more. Singing is my passion! I've been online since 94 and I've been singing since childhood (plus I had many years of voice lessons). I've sung in many choirs and done tons of karaoke, and have wanted for years to join a rock band, which I did for a while! What I do: I spend a lot of time on the computer - mostly working on my sites, answering email and social network. I don't have a lot of time to edit suzann.com. I am usually working on The TV MegaSite. I walk the puppy twice a day (about 2 miles). We travel quite often for fun and for his work conferences. Heatlh: I am diabetic; I have IBS, many allergies, a bad back (2 herniated disks) and RLS. Perpetually dieting! My regular Blog is updated weekly. I usually post quite often/daily on Instagram, Facebook and Twitter.